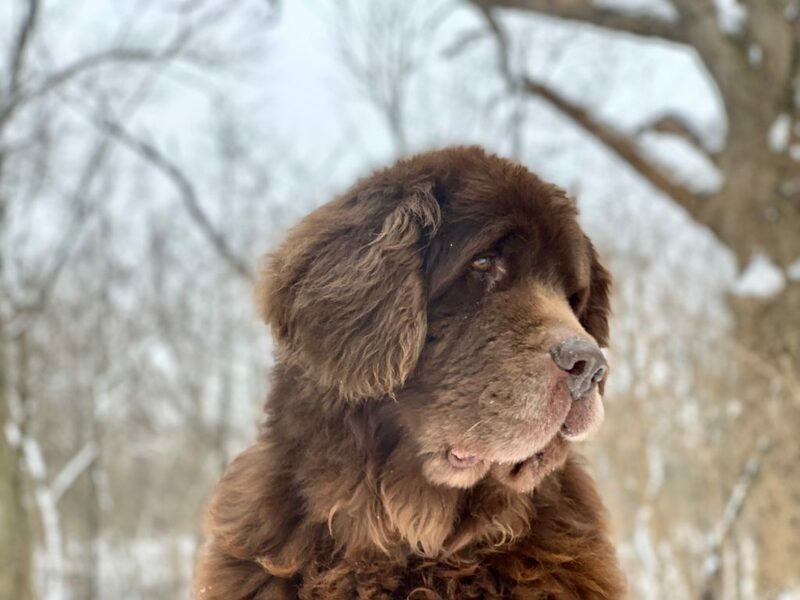 Today’s post is the first Leroy update of 2019. 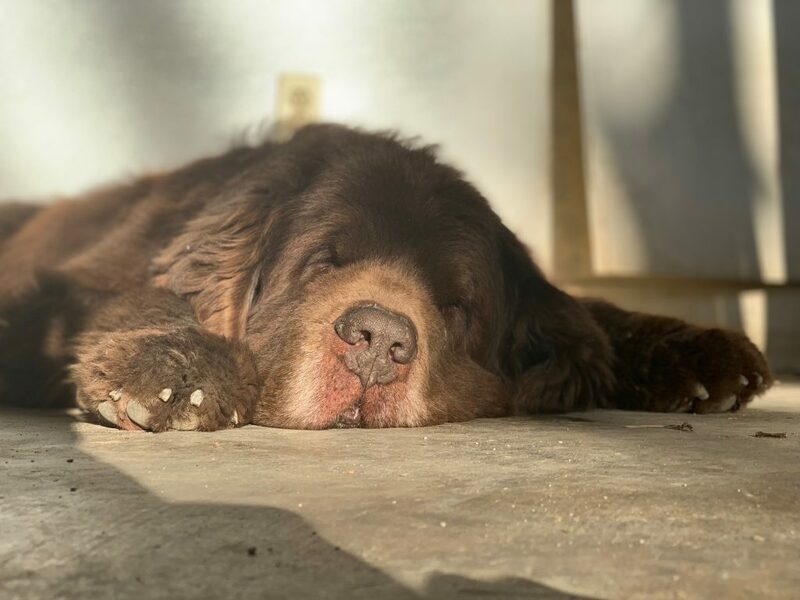 In case you’re new to the blog, these posts are the way that I track Leroy’s journey with Inflammatory Bowel Disease (IBD). 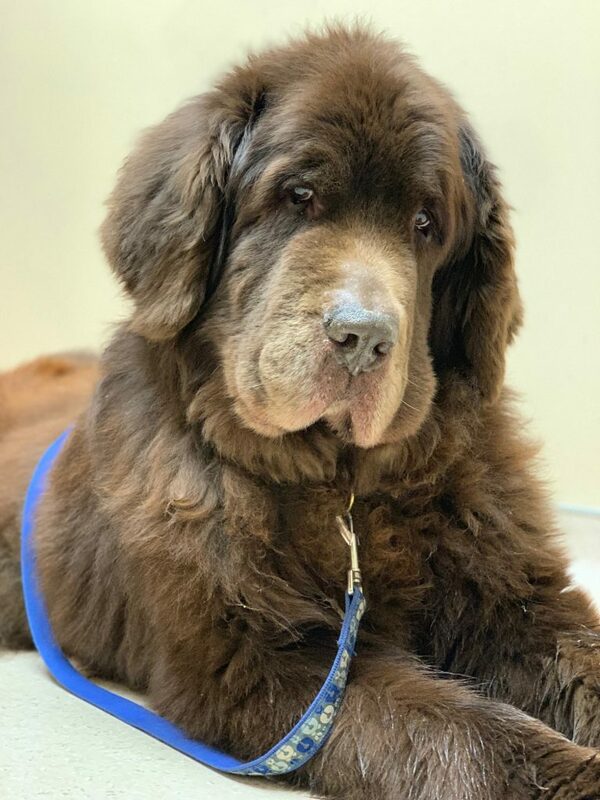 Leroy is a 10 1/2 Newfoundland that was diagnosed with IBD and Canine Lymphangiectasia about 5 years. He’s been battling the disease with ups and down since then. He has highs and really bad lows and our goal is to keep him as healthy as we can for as long as we can. We battle this disease with him and do whatever is in our power to keep him from experiencing lows but since this disease is challenging, to say the least, that isn’t as easy as it sounds. Yesterday Leroy had his 4-month re-check. He was last check was at the end of November and while he was diagnosed with a heart arrhythmia, his protein levels and weight were steady. His albumin was 2.3 which is below normal but o.k. for Leroy and his weight was 124 pounds. He had a re-check at the end of December with an echo. Leroy has been doing great for the past several months. We had many milestones including our longest hike in over a year, continued long walks and he even spent a few minutes up on the grooming table this month. It’s been years since he’s been up on that table. While he still has some minor hind-end weakness and the occasional knuckling on his back paw, it is not a big concern and doesn’t inhibit his daily activities. If I’m going to be honest, it always makes me nervous when he’s doing so well. For the past several years it seems like just when we get him back to normal working order, he crashes. When I look at him I think of how amazing he looks and how far he comes but in the back of my mind, I worry. And my worry is more than just being a concerned owner, it’s been backed up several times and based on yesterday’s results, he’s headed there again. As I said before, Leroy has been doing very well, he’s had a few soft stools that I’ve been watching but they are still formed which is good. He’s seemed a little sluggish for the past few weeks but he’s still eating, drinking and happy to go for walks. He’s getting up with a little more effort but still able to get up on his own. I was cautiously optimistic for his appointment and was hoping his protein levels were holding steady and also worried that he may have gained more weight than he should because he looks so much more sound. 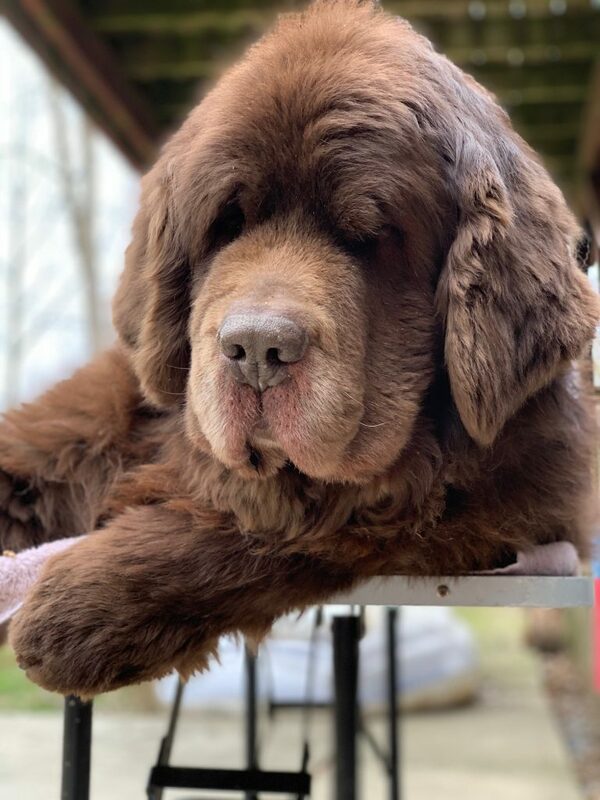 Leroy weighed in at 125 pounds which is good but also shocking because that is only 1 pound more than he weighed 3 months ago. It makes sense though because his diet has changed but his activity has so most likely that’s muscle weight that he’s gained. Unfortunately, his albumin came back at 1.8 which is lower than he was in November and that was lower than he was August. So he’s slowly decreasing which is not good. 1.5 is a critical number and where he would start to experience fluid build and we’re getting close to that. That makes me super nervous because he can not get that low and have to battle back again. Thankfully, we have a plan in place and we have options left if we need to use them. Since Leroy’s cobalamin/folate was getting to the low normal range we started up B12 shots after his last visit. They were every other week but now we will increase to every week and see if that helps the albumin rise. If the level hasn’t moved or has dropped we will increase Leroy’s Budesonide to 3mg. He’s been on 2mg of Budesonide for 7 months so we still have the option to increase to a higher dose. We’ll continue the weekly B12 injections and the same exercise routine. His diet will stay the same except we are going to try and slowly add egg whites. It’s a risky move adding anything new to a IBD dog’s diet but egg whites are packed with protein and low in fat so we’ll test and see if we can boost his protein safely this way over the next month. It will be an important month and we’ll keep our fingers crossed, hope for the best and be ready to change things up if need be. As far as the arrhythmia goes, that has stayed the same and we stay the course with the meds that he’s on for that. If you read this far, thanks for reading. This is a great way for me to keep track and document Leroy’s IBD journey. We’re right there with you hoping the big guy improves. Paws crossed for you and LeRoy. Wow, I just started reading your blog and admire the care that you put towards Leroy. Thank you for posting and we will keep you all in our thoughts for a healthy journey! Thank you so much Sue! He seems to be doing ok right now except for pinching a nerve in his neck. I know his Golden Angels are working overtime right now!